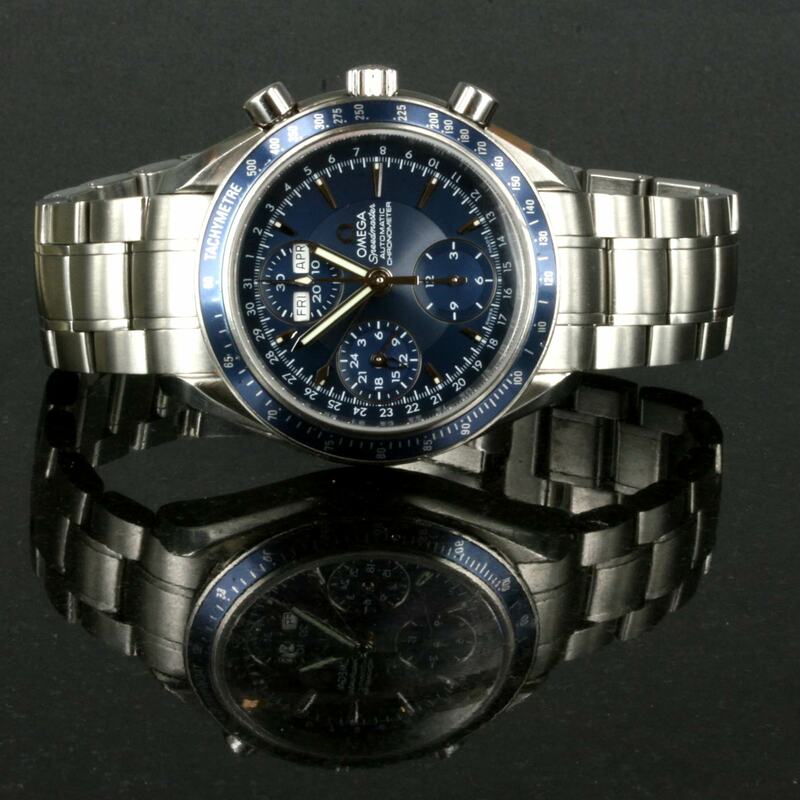 Product code: 1070 Categories: Sold Items, Sold Omega Watches. Now this is a serious and one of the top of the line Omega Speedmaster models – the Omega Speedmaster Day Date automatic Chronometer. This brilliant watch not only looks superb, it has so many great features besides just telling the time. With the tachymeter scale allowing to measure speed, a chronograph function for measuring seconds, minutes and hours, right through to the triple date function displaying not only the date, but the day of the week and the month, this is one Omega Speedmaster that you will love to wear. The stainless steel case which measures 40mm is also fitted with a scratch resistant sapphire crystal and water resistant to 100m (330ft). With the fully jewelled automatic Omega calibre 3606 inside with a power reserve of 44 hours, this watch with its amazing blue dial will look good day or night, with a suit or worn casually on the weekends. 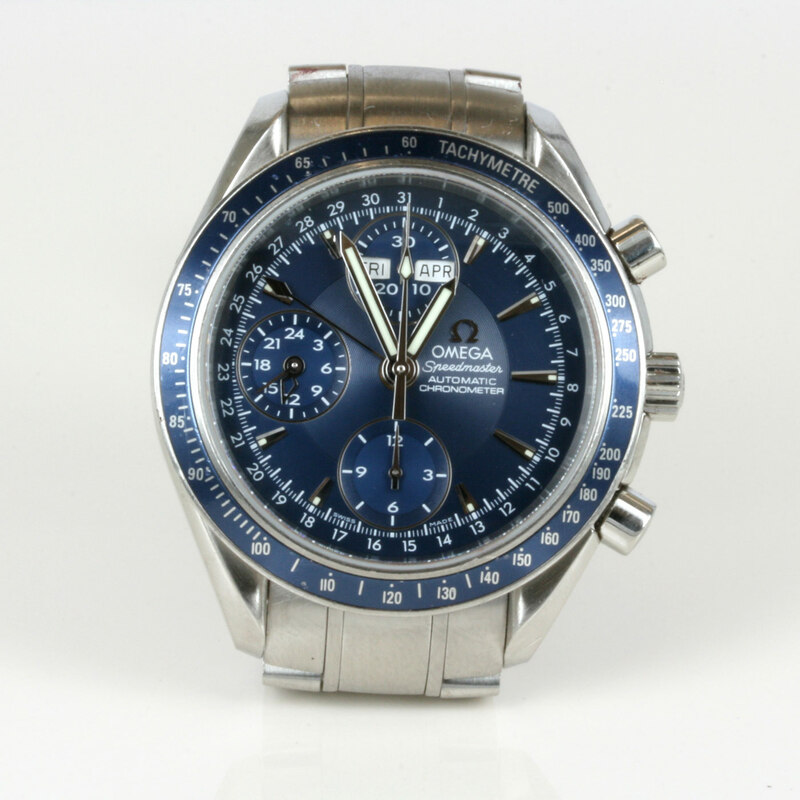 A great looking Omega Speedmaster at its finest.